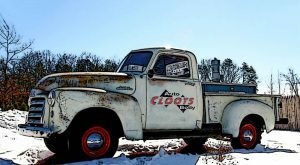 Cloot’s Auto Body started as a 1 man operation in 1984 in the town of Agawam, by owner Gary Cloutier and eventually the business was moved to Westfield in 1985. At that time, Cloot’s was located on East Main Street in a small building near the Westfield Shops. As the business grew along with it’s customer base, it became clear that a larger location would be needed. In 1987, the owner purchased a piece of property and broke ground to put up a new building which is now located at 825 North Road. The one man operation has grown over the years, but still prides itself in offering personalized service to all it’s present and future customers. The old saying of “Bigger is not necessarily better” still hold true. Sometimes “Less is more” and in theses days, customer service is what is most important. For that personalize touch, make Cloot’s Auto Body you shop of choice.